Must be 18. Must be 18. Which Guthries location would you most likely visit more often? a. 2550 N. Monroe St b. 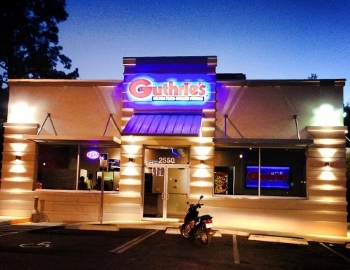 The Original 1818 W Tennessee St.
What percentage of time do you use the convenient drive thru at Guthries?